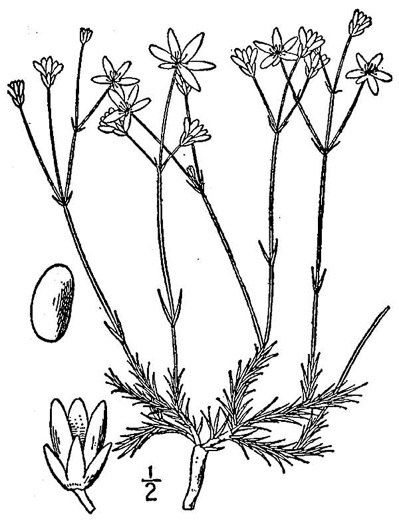 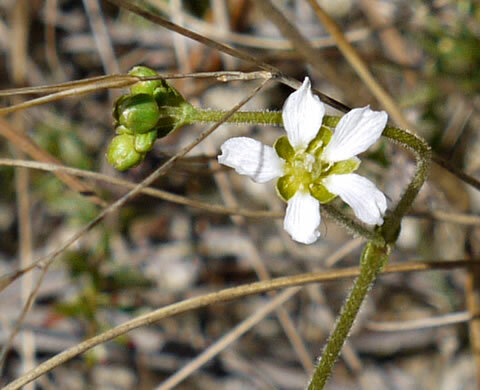 Sepals obtuse at the tip, per Weakley's Flora. 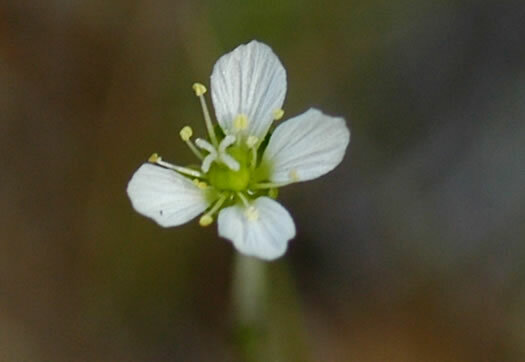 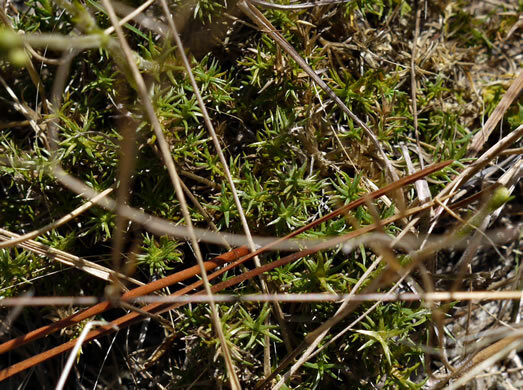 Lvs less than 1/2" long, ~ 1/16" wide, overlapping each other at stem base, per Atlantic Coastal Plain Wildflowers. 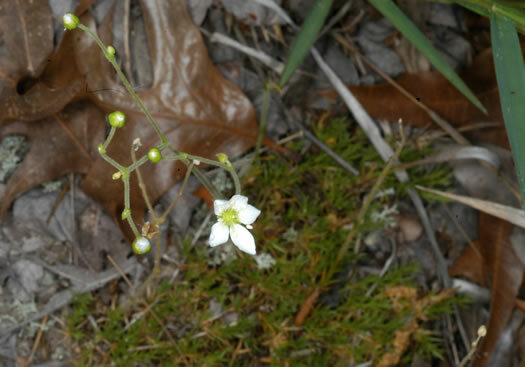 Each flowering stem seemingly terminated by a small white 1/2" flower, per Atlantic Coastal Plain Wildflowers. 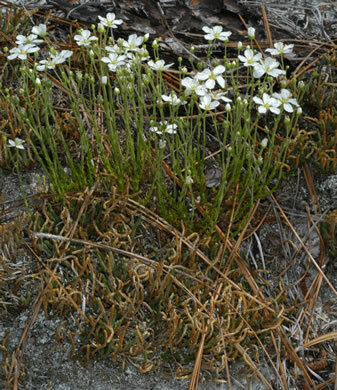 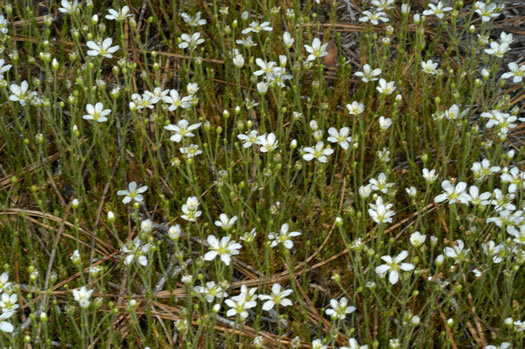 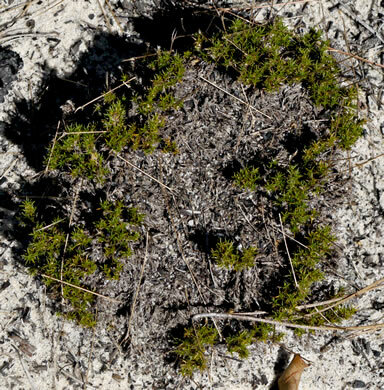 A dense basal cushion of decumbent to prostrate stems from a single taproot, per Wildflowers of the Eastern United States.